Columbia University Medical Center, New York, NY, USA. Formerly the Assistant Administrator for Global Health, United States Agency for International Development, Washington, DC, USA. University of Milan, Italy. Formerly Director of the Global Tuberculosis Programme, World Health Organization, Geneva, Switzerland. Between 2010 and 2015, development assistance for health (DAH) reached over US$30 billion a year,1 and the Millennium Development Goals (MDGs)2 helped drive unprecedented gains in development and health equity.3 While those accomplishments are cause for celebration,4 DAH budgets have tightened1 as the world confronts new health challenges, and the global health community is worried about human rights reversals by recently elected populist governments.5 Health financing at the country level looks more promising and could be the basis for a new world health era. Health spending accounts for an expanding fraction of total spending for any growing economy. As DAH plateaued in recent years,1 many low-income countries saw total health spending grow at 10% per year (based on data from National Health Accounts compiled by USAID in 2015). Public and private domestic resources now dwarf DAH (Figure 1). The growth of health spending, however, follows a surge in the demand for health services that is often met by unregulated private services paid out-of-pocket, an inefficient and regressive form of health financing.11 This transition is linked to the economics of countries at different stages of development. Thus, these changes have already occurred in several countries and may not be complete in others by 2030. Note: Public domestic finance is defined as total government revenue. Gross-fixed capital formation by the private sector was used as an indicator for private domestic finance. Private international finance is the sum of foreign direct investment, portfolio equity and bonds, commercial banking and other lending, and personal remittances. Public international finance equals the total official flows (official development assistance and other official flows). Political economy is the branch of social science that studies the relationships between individuals and society and between markets and the state.12 The liberal forces galvanized by the Enlightenment, the 18th century philosophical movement in Europe that promoted freedom, fraternity, solidarity, and equality, have brought unprecedented well-being to our civilization,13 but progress has not been linear. Periodic structural shifts in the political economy, whether arising from global crises or national elections, bring new challenges and opportunities and change the ways in which the health agenda is advanced. Note: This graph is only a didactic tool; historical periods often overlap and vary from one country or region to another, and many components of one period carry over to future ones. At that time, after the collapse of the Soviet Union, the Washington Consensus—the set of market economic ideas supported by the International Monetary Fund and the World Bank—downplayed national government and promoted neoliberal policies, i.e., a strong market-based approach to globalization, decentralization, and privatization.19 New philanthropy and the AIDS movement were additional ingredients of what became “global health.”20 WHO's influence waned21,22 amidst a plethora of new public-private partnerships advancing donor-supported initiatives against AIDS, tuberculosis, malaria, and vaccine-preventable diseases.14,23 While some experts worried about open-source anarchy and undue influence,24 these global partnerships contributed to achieving several MDGs. National governments are reasserting themselves, in extreme cases with protectionism and xenophobia.28 Countries that responded to the crisis with fiscal austerity have faced a wave of antiestablishment, ethnopopulist elections not seen since the 1930s.29 This creates many domestic problems of its own and pushes back against the international cooperation and altruism that characterized the golden era of global health. In the long run, populism is no substitute for sound governance and it carries risks.30 Good technical and political leadership is needed to address the underlying economic inequalities responsible for the social turmoil seen in many countries. Good technical and political leadership is needed to address the underlying economic inequalities responsible for the social turmoil seen in many countries. A NEW WORLD HEALTH ERA? Economic growth and increasing health spending in many “developing” countries, along with stagnant DAH and a wave of populist policies, pave the way for a number of profound changes in our field (Table). At the national level, there will be more country ownership and domestic resource mobilization (DRM), with an increasingly feasible possibility of achieving universal health coverage (UHC). At the global level, the power of DAH is diluted and likely to refocus on fragile states and global public goods with benefits to all countries (see below). As a result, member-state organizations like WHO and the World Bank, in coordination with other influential public and private actors, have new opportunities to address existing and emerging health challenges.31 Many existing organizations at the global and national level will adjust the role they play and how they fund their work in this new world health era. With emerging economies growing, the Third International Conference on Financing for Development, held in Addis Ababa, Ethiopia, positioned DRM at the heart of the post-2015 agenda.32 The World Bank estimates that simply bringing laggards to the median government revenue level by increasing tax ratios to the median 23% of GDP in low- and middle-income countries would add US$26 billion each year for public expenditure in health.33 In addition, increasing the government budget allocation for health to just the median level of 10% would generate an extra $50 billion each year.33 Tobacco taxes can contribute to general taxation and also reduce one of the main drivers for chronic diseases. Additional DRM possibilities include leveraging concessionary loans from development banks (e.g. the Global Financing Facility),34 innovative financing (e.g., social impact bonds, loan guarantees),35 and shaping responsible markets.36 Countries like Ghana, Ethiopia, and Rwanda have shown it is possible to increase health budgets significantly. UHC means 3 things: (1) access for all to (2) appropriate health services (at a minimum, health promotion and primary care, with additional services depending on local epidemiology and economics), and (3) without financial hardship (financial hardship is defined as 25% or more of total household expenditures spent on out-of-pocket health expenditures).37 UHC is not about donors buying health insurance but about national governments organizing health financing in equitable, prepaid risk pools.32 The services covered under UHC should be not only curative but also public health and preventive, like immunization, nutrition, family planning, and road safety interventions. Indeed a major challenge is to prioritize such services in the face of huge demand for expensive tertiary care for urban elites. According to the International Labour Organization, over 60 countries have achieved UHC and several more are halfway in their decades-long reforms (Figure 3).41 Many countries, especially in Africa, are asking for technical assistance to reorient their health sector toward UHC. a The graph assesses the proportion of the population affiliated with national health insurance or social, private, or micro- insurance schemes. Universal health coverage means access for all to appropriate health services without financial hardship. The new world health era will be driven by domestic resource mobilization rather than development assistance. Development assistance should shift progressively to support global public goods. During the 1970s, the private sector was nearly absent from public health circles, though it was already playing a growing role in the provision of medicines and clinical services. At the turn of the millennium, many public-private partnerships (PPPs), like Gavi or the Global Alliance for TB Drug Development, were created to address market failures in the development and supply of drugs and vaccines. The change brought energy, creativity, and progress for orphan drugs and the MDGs. PPPs 2.0 will be less top-down and more engaged in local markets and political economy. To succeed in a new world health era and deliver on the SDG agenda, WHO will need to act on several fronts and focus on its comparative advantages. Firstly, while technical assistance to countries and strategic leadership may not be unique to WHO, ensuring their adequate and neutral provision to member states is key to its mission. WHO needs to be able to swiftly declare public health emergencies of international concern and help improve the world's capacity to detect and respond to pandemic threats, including adherence to international health regulations and new ideas like the Coalition for Epidemic Preparedness Innovations,67 the Pandemic Emergency Financing Facility,51 and the Global Virome Project.68 WHO will have a crucial role in rethinking and modernizing surveillance systems and data analytics platforms, as well as the standards, prequalification, and procurement of essential drugs and vaccines in collaboration with the private sector. As with the Framework Convention on Tobacco Control and The World Health Report on UHC,37 WHO will be expected to provide country guidance for future-oriented health systems and policies. Together with the World Bank and development partners, WHO should advocate for increasing DAH for the poorest countries while advising better-off members states to prepare for successful graduation from DAH through hybrid mechanisms like the Global Fund and the Global Financing Facility.34 Finally, WHO should expand the reach and quality of its advocacy and strategic communication capacity to ensure that global guidelines are clearly understood by all relevant audiences. Internally, WHO needs to address several challenges if it is to thrive in this new world health era. It needs to define better the roles and responsibilities of its headquarters, regional, and country offices. Instead of relying only on its staff, WHO could harness today's global brain trust of experts and centers of excellence, and it should streamline the appointment of senior staff based on high-level expertise and competence rather than on geopolitical considerations. A major challenge compromising the effectiveness of WHO and threatening its independence is its budget,66 which is lower than the revenues of any large hospital in New York City—and three-quarters of the WHO budget comes from voluntary contributions. Member states' decisions to cut or increase assessed contributions will be pivotal. Finally, WHO needs to work well with the World Bank and related institutions, which can play a constructive role in financing health and development. WHO needs to address several internal challenges if it is to thrive in this new world health era. The priorities and approaches used in international health have evolved with epidemiological transitions and technological innovations. But the field has also been shaped by unprecedented economic development and a historical pendulum in the role of government in social well-being. Like the Soviet Union collapse in 1991, the Great Recession of 2008 triggered one such shift in the political economy between government and market. Global health is moving past its stage of development assistance to a new era of country ownership and global cooperation.69 At the national level, the economic transition of health and growing political demands for social protection create conditions favorable for domestic resource mobilization and universal health coverage with new forms of private-sector engagement. At the global level, development assistance is refocused on fragile states, the poorest communities, and global public goods like health security, normativity, and innovation. The authors thank Marcos Cuetos, Timothy Evans, Haileyesus Getahun, Socrates Litsios, Michael Reich, and Lesley Stone for constructive discussions of the ideas presented in earlier versions of the manuscript. United Nations (UN). The Millennium Development Goals Report 2015. New York: UN; 2015. http://www.un.org/millenniumgoals/2015_MDG_Report/pdf/MDG%202015%20rev%20(July%201).pdf. Accessed February 13, 2018.
. 50 Years of Global Health, Saving Lives and Building Futures. Washington, DC: United States Agency for International Development; 2014. https://www.usaid.gov/sites/default/files/documents/1864/USAID_50-Years-of-Global-Health.pdf. Accessed February 13, 2018.
. Global health in a populist and nationalist age. J Int Aff. March 15, 2017. https://jia.sipa.columbia.edu/global-health-populist-and-nationalist-age. Accessed February 13, 2018.
. Estimates of world GDP, one million B.C. – present. Berkeley, CA: University of California, Berkeley; 1998. http://delong.typepad.com/print/20061012_LRWGDP.pdf. Accessed February 13, 2018.
International Macroeconomic Data Set. Washington, DC: United States Department of Agriculture; last updated December 19, 2017. https://www.ers.usda.gov/data-products/international-macroeconomic-data-set.aspx. Accessed February 13, 2018. GNI per capita, PPP (current international $). In: World Bank Open Data. Washington, DC: World Bank; 2018. http://data.worldbank.org/indicator/NY.GNP.PCAP.PP.CD?end=2015&start=1990&year_low_desc=false. Accessed February 13, 2018.
. The cost disease and global health. In: Baumol WJ. The Cost Disease: Why Computers Get Cheaper and Health Care Doesn't. New Haven, CT: Yale University Press; 2012. United Nations Research Institute for Social Development (UNRISD). Mobilizing domestic resources for sustainable development: toward a progressive fiscal contract. In: Policy Innovations for Transformative Change: Implementing the 2030 Agenda for Sustainable Development. UNRISD Flagship Report 2016. Geneva: UNRISD; 2016:167–195. http://www.unrisd.org/80256B42004CCC77/(httpInfoFiles)/2D9B6E61A43A7E87C125804F003285F5/$file/Flagship2016_FullReport.pdf. Accessed February 13, 2018.
. Political economy. Encyclopædia Britannica website. https://www.britannica.com/topic/political-economy. Accessed February 13, 2018.
. The Enlightenment and economic development. Bologna Center J Int Affairs. 2008;11(1):27–42. http://www.saisjournal.org/issues/vol-11-iss-1. Accessed February 13, 2018. Declaration of Alma-Ata: International Conference on Primary Health Care, Alma-Ata, USSR, 6-12 September 1978. World Health Organization website. http://www.who.int/publications/almaata_declaration_en.pdf. Accessed February 14, 2018.
. What Washington means by policy reform. In: Williamson J, editor. Latin American Readjustment: How Much Has Happened. Washington, DC: Institute for International Economics; 1989.
. A theory of open-source anarchy. Indiana J Glob Leg Stud. 2008;15(1):259–284. http://ijgls.indiana.edu/1501/a-theory-of-open-source-anarchy/. Accessed March 7, 2018.
. Architecture amidst anarchy: global health's quest for governance. Glob Health Gov. 2007;1(1). http://ghgj.org/Fidler_Architecture.pdf. Accessed February 21, 2018.
International Monetary Fund (IMF). World Economic Outlook. April 2009: Crisis and Recovery. Washington, DC: IMF; 2009. http://www.imf.org/external/pubs/ft/weo/2009/01/. Accessed February 21, 2018.
. Capital in the Twenty-First Century. Cambridge, MA and London, UK: Belknap Press of Harvard University Press; 2014.
. Age of Anger: A History of the Present. New York: Farrar, Straus and Giroux; 2017. Racism, Xenophobia Increasing Globally, Experts Tell Third Committee, amid Calls for Laws to Combat Hate Speech, Concerns over Freedom of Expression [meetings coverage]. New York: United Nations; November 1, 2016. https://www.un.org/press/en/2016/gashc4182.doc.htm. Accessed February 13, 2018.
. Populism: the phenomenon. Bridgewater Daily Observations. March 22, 2017. https://www.bridgewater.com/resources/bwam032217.pdf. Accessed February 13, 2018.
. The macroeconomics of populism. In: Dornbusch R, Edwards S, editors. The Macroeconomics of Populism in Latin America. Chicago: University of Chicago Press; 1991. http://www.nber.org/chapters/c8295.pdf. Accessed February 13, 2018. United Nations. Addis Ababa Action Agenda of the Third International Conference on Financing for Development. New York: United Nations; 2015. http://www.un.org/esa/ffd/wp-content/uploads/2015/08/AAAA_Outcome.pdf. Accessed February 14, 2018. World Bank. Financing UHC: resource mobilization [discussion paper]. Washington, DC: World Bank; 2017.
. Innovative financing for development: scalable business models that produce economic, social, and environmental outcomes. New York: Innovative Financing Initiative, Global Development Incubator; 2014. http://globaldevincubator.org/innovative-financing-for-development/. Accessed February 14, 2018.
. Healthy Markets for Global Health: A Market Shaping Primer. Washington, DC: Center for Accelerating Innovation and Impact, United States Agency for International Development; 2014. https://www.usaid.gov/cii/market-shaping-primer. Accessed February 14, 2018. World Health Organization (WHO). Health Systems Financing: The Path to Universal Coverage. 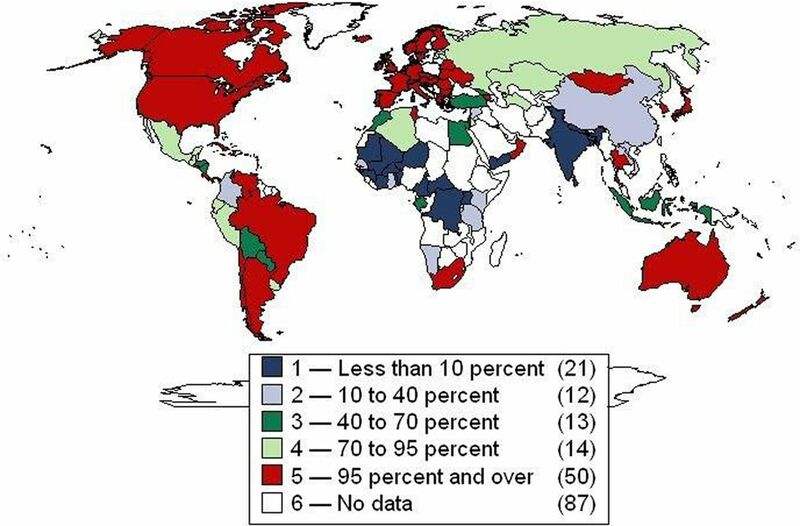 World Health Report 2010. Geneva: WHO; 2010. http://www.who.int/whr/2010/en/. Accessed February 14, 2018. World Health Organization (WHO); World Bank. Tracking Universal Health Coverage: 2017 Global Monitoring Report. Geneva and Washington, DC: WHO and International Bank for Reconstruction and Development, World Bank; 2017. http://www.who.int/healthinfo/universal_health_coverage/report/2017/en/. Accessed February 14, 2018.
International Labour Organization (ILO). Addressing the global health crisis: universal health protection policies. Social Protection Policy Paper 13. Geneva: ILO; 2017. http://www.social-protection.org/gimi/gess/RessourcePDF.action?ressource.ressourceId=48277. Accessed February 14, 2018. UHC2030. Healthy Systems for Universal Health Coverage: A Joint Vision for Healthy Lives. Geneva and Washington, DC: World Health Organization and International Bank for Reconstruction and Development, World Bank; 2017. https://www.uhc2030.org/news-events/uhc2030-news/article/healthy-systems-for-universalhealth-coverage-a-joint-vision-for-healthy-lives-406553/. Accessed February 14, 2018. United Nations General Assembly. Resolution adopted by the General Assembly on 12 December 2012: Global health and foreign policy. A/Res/67/81. March 14, 2013. http://www.un.org/en/ga/search/view_doc.asp?symbol=A/RES/67/81. Accessed February 14, 2018. Universal Health Coverage Forum 2017: “Tokyo Declaration on Universal Health Coverage: All Together to Accelerate Progress towards UHC” [statement]. World Bank website. December 14, 2017. http://www.worldbank.org/en/news/statement/2017/12/14/uhc-forum-tokyo-declaration. Accessed February 14, 2018. The Busan Partnership for Effective Development Co-operation: Fourth High Level Forum on Aid Effectiveness, Busan, Republic of Korea, 29 November–1 December 2011. Organisation for Economic Co-operation and Development website. http://www.oecd.org/dac/effectiveness/49650173.pdf. Accessed February 14, 2018.
. Financing for Development: International Financing Flows After 2015. Washington, DC: Brookings Institution; 2014. https://www.brookings.edu/research/financing-for-development-international-financial-flows-after-2015/. Accessed February 14, 2018.
. Graduation and phase-out in the health sector: what have we learned? Washington, DC: United States Agency for International Development; 2012. http://pdf.usaid.gov/pdf_docs/PBAAA917.pdf. Accessed February 14, 2018. World Bank Group Launches Groundbreaking Financing Facility to Protect Poorest Countries against Pandemic [press release]. Washington, DC: World Bank; May 21, 2016. http://www.worldbank.org/en/news/press-release/2016/05/21/world-bank-group-launches-groundbreaking-financing-facility-to-protect-poorest-countries-against-pandemics. Accessed February 14, 2018. World Health Organization (WHO). World Health Statistics 2016: Monitoring Health for the SDGs, Sustainable Development Goals. Geneva; WHO; 2016. http://www.who.int/gho/publications/world_health_statistics/2016/en/. Accessed February 14, 2018. United Nations General Assembly. Resolution adopted by the General Assembly on 10 July 2014. Outcome document of the high-level meeting of the General Assembly on the comprehensive review and assessment of the progress achieved in the prevention and control of non-communicable diseases. A/Res/68/300. July 17, 2014. http://www.who.int/nmh/events/2014/a-res-68-300.pdf. Accessed February 14, 2018.
International Finance Corporation. The Business of Health in Africa: Partnering with the Private Sector to Improve People's Lives. Washington, DC: International Finance Corporation, World Bank Group; 2007. https://www.unido.org/sites/default/files/2016-01/IFC_HealthinAfrica_Final_0.pdf. Accessed February 14, 2018. Sixty-Ninth World Health Assembly: Framework of engagement with non-State actors. World Health Organization website. May 28, 2016. http://www.who.int/about/collaborations/non-state-actors/en/. Accessed February 14, 2018.